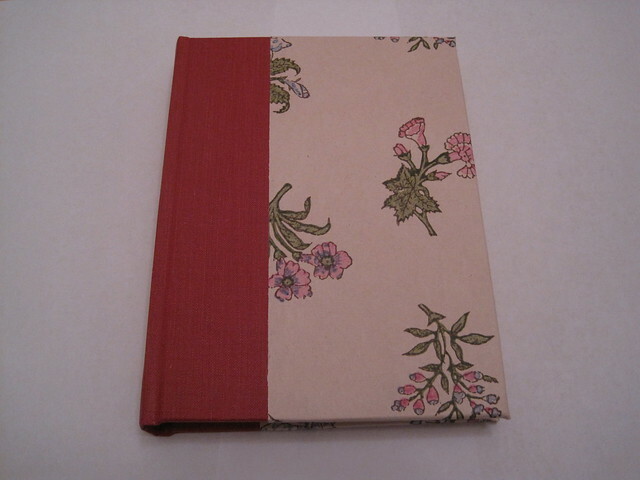 It’s odd I would take up bookbinding at a time in my life when I’m also renouncing perfectionism–it’s an exact art. We use an old-fashioned protractor-like device and measure things in millimeters. The boards and pages are cut uniformly with a two-ton steel paper cutter the size of a car. The teachers discourage using pencil marks for anything and say the lines of the cloth shouldn’t show too much through the endsheets. Sewing is one of the best parts about making books. It’s graceful and meditative, but though I’ve done the stitches before, I can never remember the pattern on my own. The teacher said something about sense memory, and I wonder at times if mine isn’t a little underdeveloped. My memory, it seems, is more tightly tied to language than most people’s. It’s why I have to be taught how to play chess every single time I play chess and why, though I love jazz, I can’t remember any wordless jazz song no matter how many times I’ve heard it. I was taken to a silent movie once and afterward had no idea what happened in it at all. Had I been born deaf and mute or raised by wolves, I wonder if I’d even have a memory. It isn’t a negative thing–it’s also why I win nine out of ten games of Words With Friends, earned a rare 800 on the verbal section of the SAT the first time I took it, and write well despite very little formal composition instruction outside of the usual school classes. Language isn’t symbolic to me; it’s concrete. This is opposite how most people think of it. Whereas what most people think of as black-and-white, logical, like numbers, stress me out and I don’t have an intuitive sense of how things are put together, built. To cook I need a recipe, written in words.